Nashville, Tennessee. Music City. Country music capital of the world. Nashville is the city where dreams are made. And there’s no finer address in this southern capital city than The Hermitage Hotel Nashville. We’ve wanted to visit Nashville for a long time. 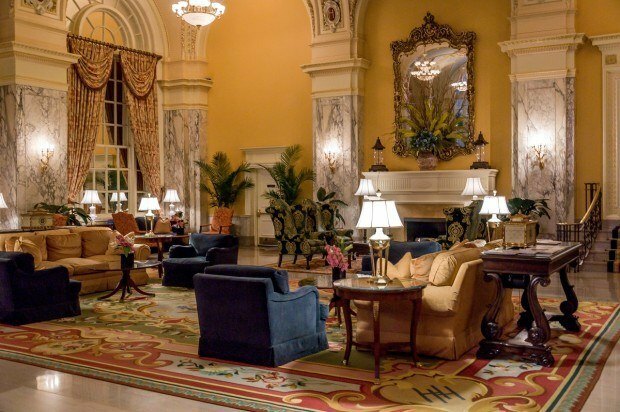 Having stayed at the Hermitage Hotel’s sister properties in Richmond, Virginia and Charlottesville, Virginia, we knew we would be in for a remarkable experience. We were right. 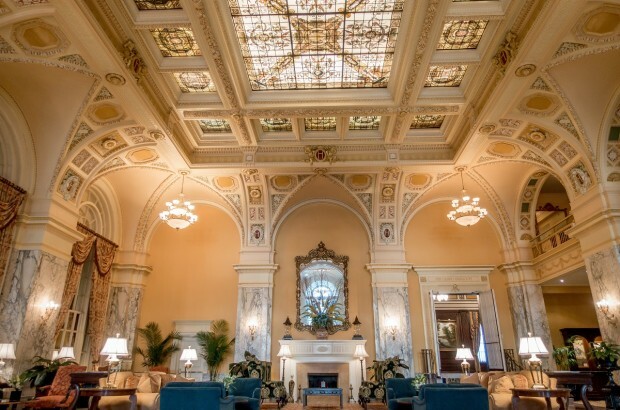 The Hermitage Hotel has been Nashville’s premier address for more than 100 years. It was one of the city’s first high-rise buildings and has played host to every famous celebrity who has ever visited the city. 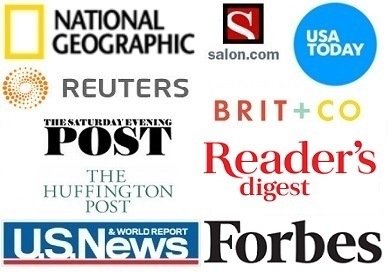 In recent years, the hotel has gained notoriety for men’s bathroom. 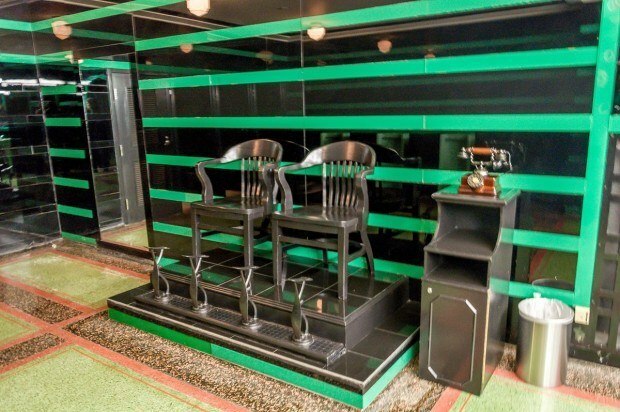 On the lower level near the bar, the black and green art deco tiled bathroom has been consistently voted as the best bathroom in America. 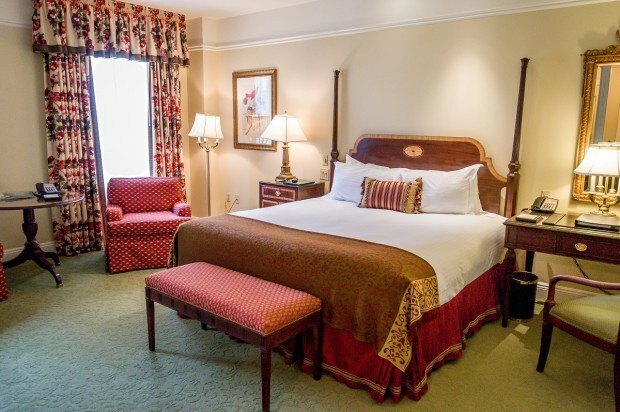 The Hermitage Hotel makes a good base to explore music row, printer’s row, the Country Music Hall of Fame, the Ryman Auditorium and all the downtown sites. We also took day-trips out to Lynchburg to visit the Jack Daniel’s Distillery and the Belle Meade Plantation. With so many things great things to do in Nashville, this is a great city. 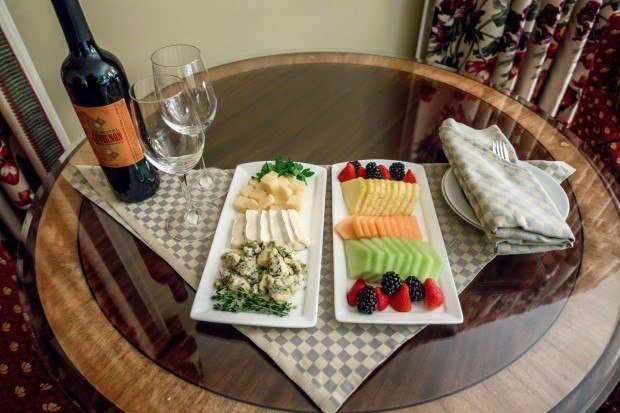 And no matter what you decide to do, The Hermitage Hotel hosts you in style. 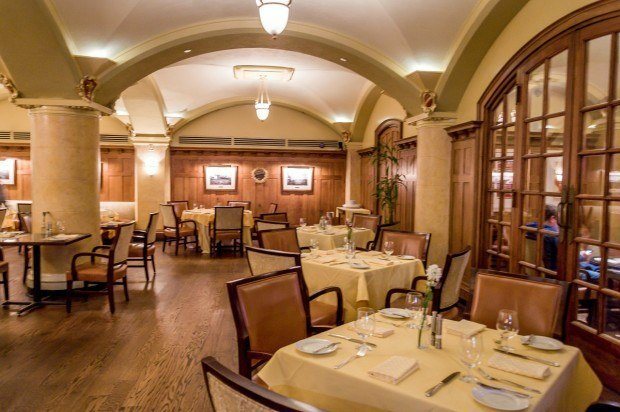 The Restaurant: One the ground level of the Hermitage Hotel Nashville is the Capitol Grille restaurant and the adjacent Oak Bar. 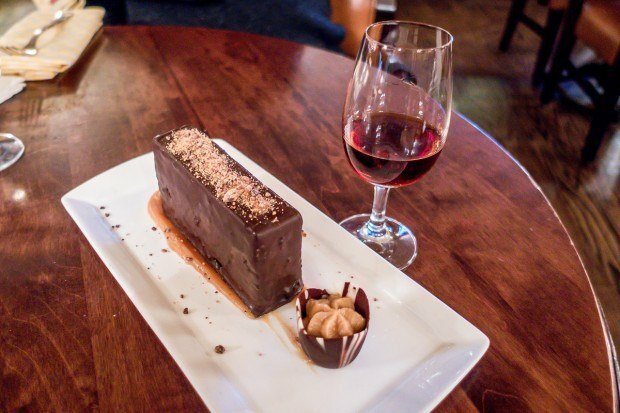 The Capitol Grille serves a delicious (and reasonably priced) hotel breakfast, as well as being open for lunch and dinner. The Concierge: Sitting at his post immediately in front of the elevators, the Hermitage Hotel’s concierge is willing to help with any travel plans to make your trip a success. The concierge can also arrange for the “Bath Concierge” experience, complete with drawing the bath, spreading rose petals and deploying bath salts. Beyond the concierge, all of the staff are extremely friendly and helpful. The Spa and Recreational Facilities: On the Mezzanine level overlooking the lobby, there is small gym facility. 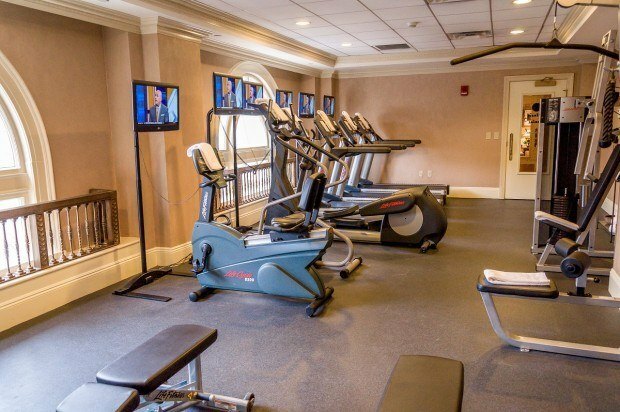 The gym has a handful of treadmills, elliptical machines, a stair climber and a weight unit. There are also two small rooms for massage treatments, which can be arranged through the staff. Cold bottles are water available to cool down after your workout. 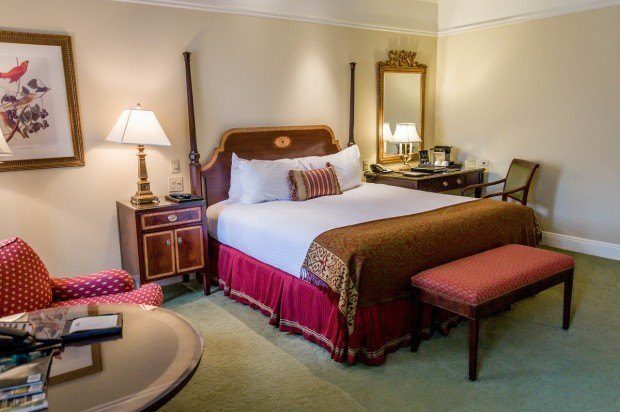 The Rooms: The rooms at the Hermitage Hotel Nashville, like the hotel itself, are in the Beaux-arts style with Renaissance accents. Despite being over 100 years old, the rooms at the Hermitage Hotel feel very spacious and contemporary (and have obviously been recently renovated). A king bed dominates the room, along with a desk, sitting area and nightcap valet. A large closet can be found in the entryway. The Bed: Our room came furnished with a large king bed. The mattress was perfect – not to firm, but not too soft. The Bathroom: The bathrooms are spacious and have a separate shower and large, soaking bathtub. 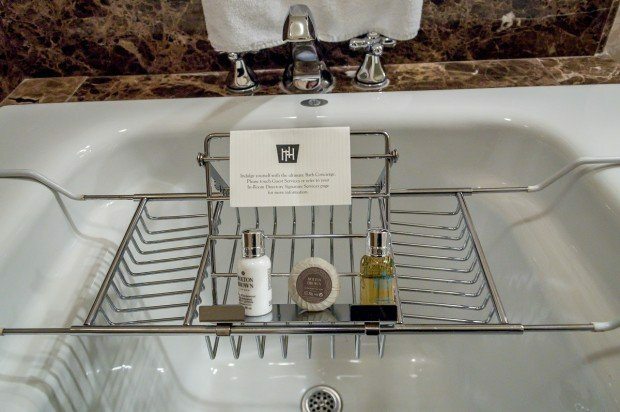 The Bathroom Amenities: The Hermitage Hotel Nashville features a full range of bathroom toiletries from Molton Brown. The Cost: We stayed in the Deluxe King Room, which starts at $300 per night. 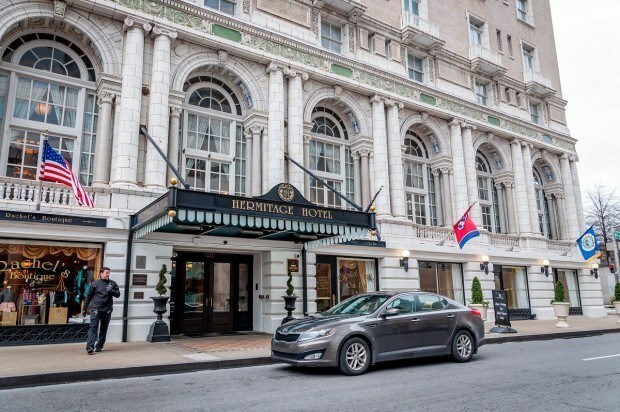 The Location: The Hermitage Hotel Nashville is immediately across the street from the Tennessee Performing Arts Center (TPAC), two blocks from the Tennessee State Capitol, and three blocks from the Ryman Auditorium and the downtown music attractions. The Transportation: The hotel is best reached via private car and there is a valet service available. Cabs are readily accessible at the hotel. The Airport Transfer: The nearest airport is the Nashville International Airport (BNA), which is about 10 miles and 20 minutes from the hotel. 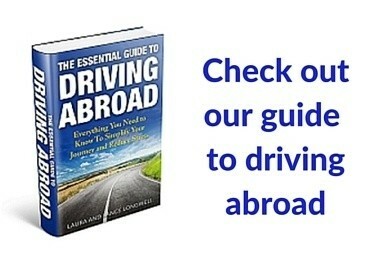 Rental car facilities are available at the airport. 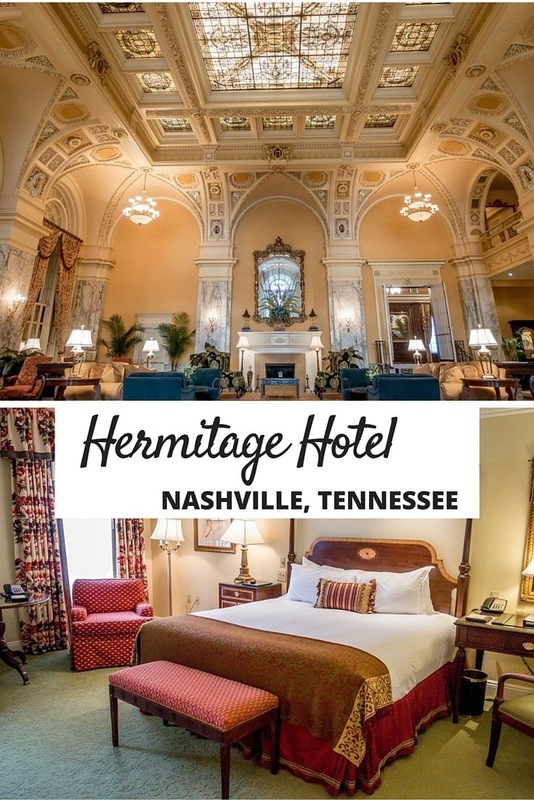 There are numerous hotels in downtown Nashville, but none have the history and refined elegance of The Hermitage Hotel Nashville. 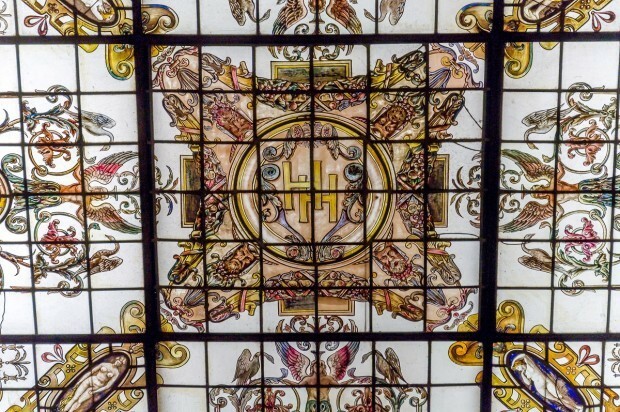 This is a one-of-a-kind historic hotel. We were the guests of the The Hermitage Hotel Nashville. All opinions of the refined and excellent are our own.